Hey guys, Zeal here again with another Round 6 Zealio switch GB & accessories. Gateron and I have worked quite a bit to perform micro tweaks to our stabilizers to improve its usage. The changes made should fix the wire popping out issue some people experienced. GB pricing will end May 14, 2017 midnight (PST). 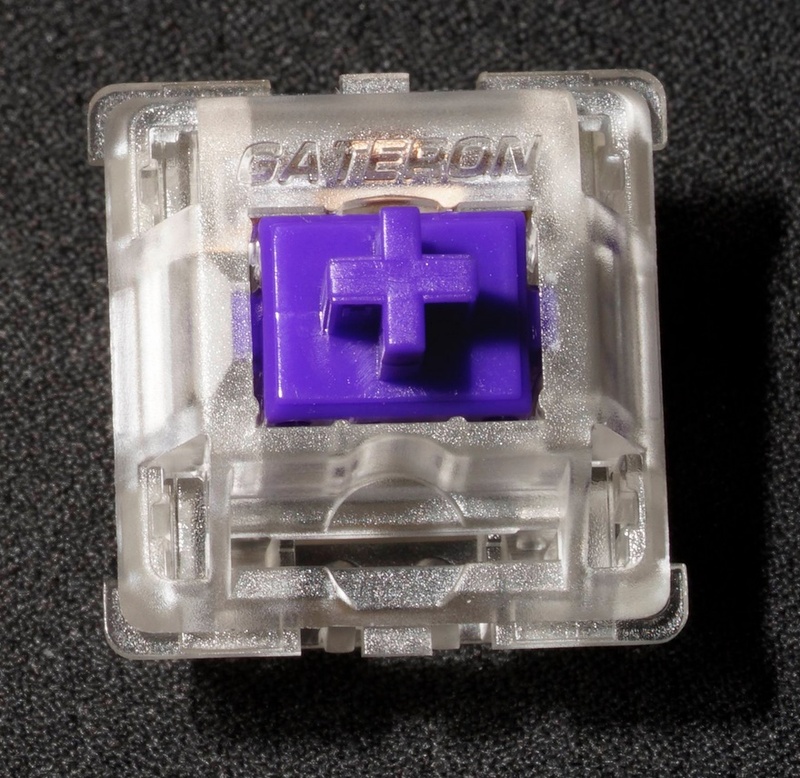 Order is expected to ship from Gateron around mid-June. This GB will have a quick turnaround, hence the shorter two week GB pricing schedule. Click the images for links to the site! Q: Where are the Linear Zealios? A: Still working with Gateron to improve the Linear Zealios. Will probably introduce them again Q2-Q3 2017 for R7 GB. A: The 65% keyboard kit Codename: Gravitas will launch as a separate GB. Prototypes should be ready soon though. Orders will start shipping tonight. Nice, this certainly looks interesting. Took a look into this and was tempted to order 150 switches. Only shipping option I get is DHL express though and I'm kind of scared that the customs take in the parcel. If that happens I got to pay like 30€ to DHL alone (not the custom fees) and I don't want that. Is there really no other possibility to send the stuff? Order twice, once 100 then 50? Anyone from Europe or even Germany has any experience with Zealios shipped by DHL Express? I've ordered from Zeal and shipped to Germany, I was able to pick Canadian Air as a carrier for 10$, and it skipped customs. DHL have their customs sorted. Goes straight to you and you might get invoiced for it afterwards. No changes made to Zealios/Zealencios. Pretty happy with how they are right now. I heard you guys are working towards having less wobble. Will that be reflected in this round? The current tactile Zealios already have reduced wobble since R4. This round of Zealios will be no different. I'll be going for some of your Milky Bottoms here Zeal, thanks for providing them . I'll probably just get some stabilizers this round to get the most up to date version. I now have a surplus of Zealios since a couple of builds got cancelled. I jumped in on both the 67g Zealios and the Stabilizers, along with the Zeal60 PCB. I can hardly wait! Since you mentioned Linear Zeals, any chance of clicky Zeals? I'd love clicky switches with the tactility of Zealios. Give the Zealiostotle mod a try. Cannot beat it's clicky sound or tactile feedback. Unfortunately, there aren't plans to make factory made zealiostotles due to a few limiting factors. The Zeal60 says that the LEDs are presoldered. I guess they're in switch LEDs.. or how would we get the Zealios onto the PCB? Any plans on perhaps a ZealTKL PCB? Oh and, those thingies to hotswap switches. i'm thinking that using those in future builds would be a good idea. especially for say, limited edition custom builds.. say you have a Duck Orion, if you used those rather than solder in switches you could more or less still customize it however you'd like. Altnough, wait, you do still need to solder these things in like Sip Sockets right? finally, any compatability issues between them? They are surface mount LEDs shining through the PCB via a cutout. 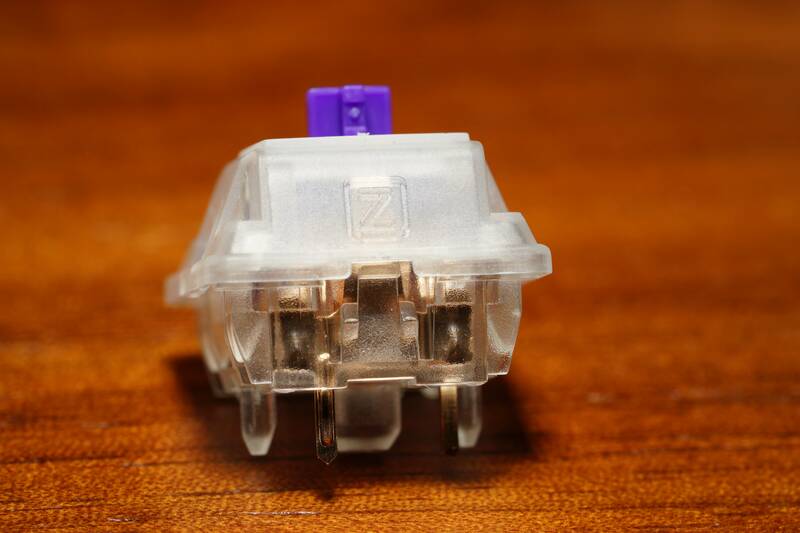 That's why Zealios are the recommended switch to pair with the board due to the fully transparent housing. There are plans for a TKL in the future, but no firm dates yet. The TKL Zeal, will go Gangbusters here on GH Central. Looking forward to that one, having a fully fitted out TKL keyboard, showing the World what it's like when you go FULL Zeal on it . I'm still waiting on the stabs from the r5 gb. Are the v1 stabs that bad? We'll be automatically upgrading v1 stabs to v2 ones if you had them added with your Zeal60 order. Just message/email them, they will combine the orders. Would using Zealencios on silent reds make the switch even more silent, or should I just stick to one or the other? Since I've gone totally insane and building like 4 boards, I was thinking about varying up at least one of them and doing Zealencios and trying to make it as quiet as possible. Do you think any different weighted spring Zealios are particularly quieter than the others? It would make it more quiet, but the overall feel will be affected. Travel reduction will also be much more noticeable due to double the dampening effects. Will depend on your personal taste whether or not you'll like the feel. I'd personally recommend just sticking with one or the other. Sometimes more isn't better. 62g would technically be quieter, but wouldn't be really noticeable in day to day use, especially after lubing the switches. The sound dampening you get from lubing alone is already night and day (plus the added benefit of an even smoother feel). Got it, thanks! I'll be using Zealencios on non-silents then. Has anyone had any experience lubing Zealiostotles? How did it turn out? I figure I'll need to open the switches to replace the stems anyway why not lube them at the same time. Recommended lube? I have a order for Zeal60 and a bunch of other stuff but i'm thinking about getting another one in the same order but customs would sting a lot. I would gladly take a PM if you (zeal) have some secret to share about this? I wouldn't recommend lubing Zealiostotles. You run a high chance of ruining the clicky sound and affecting the tactile bump. Honestly, don't even think they need the lube either. They feel amazing after the stem swap. 1/ I have the previous version of the stabz with the wire popping out. The only thing you changed is the insert and pivot right ? Is the wire the same ? 2/ Just want to be sure, but the zealios PCB 67g can be "converted" to a plate mounted one without a problem ? (I can cut the addictionnal legs like any other cherry switch) ? Wire is the same, insert and pivot were tweaked. Correct, cut the plastic legs off if you want to convert them to plate mount style switches. Zealencios will only be sold as 70/100/120 on my site. If you'd like to fit 2x WKL kits, you could purchase 100x, 70x, leaving 2 extra. You'll hardly need extras during mounting. And yes you are right about the zealancios. I'm dumb. And I have some spare from last time too. Thanks for doing this, Zeal! Definitely makes the wait for the Zeal60 even more worth it. Also, if you end up doing a TKL version, just take my money. TKL is by FAR my favorite form factor. Thanks for your awesome products and general awesomeness! Experiment with a few switches with different lubing techniques and try to find one that suits your preferences. I personally lube the bottom housing rails, springs inside and out and pretty much all surfaces of the stem other than the tactile legs when lubing for a build. Some may like that feel, others may not. Friendly reminder that GB order will be concluding at the end of May 14th 11:59PM. Pre-order pricing will kick in after that. Have there been any changes made to the Zealencios? No changes needed or planned. Zeal anyway we can get that GB pricing kept till the 15th? I imagine I cant be the only one low on cash that would love to buy in but doesnt get their paycheck/Direct Deposit till the 15th. You're not the only one, I've also received a similar PM. I'll extend it by another day, til the night of 15th. Had a V1 stab pop out on me earlier this week. Is there a thread or documentation where people are discussing how they've resolved the problem? I managed to get mine back in place without too much trouble but am curious how others dealt with it. I've got the new Zeal60 on order, really looking forward to the new board and new stabs. I missed an update or two I'm sure, did something happen with the R2 Zeal60 production? I'm really out of the loop. If you press on the horizontal bits of the cross with needle nose pliers 1-2 times each side, it would make the fit less tight which reduces the odds of the wire popping out. Zeal60 Rev2 boards are delayed til mid/late June because I had to reject a large majority of boards that came in due to surface scratches. They're currently being remade by the fab. 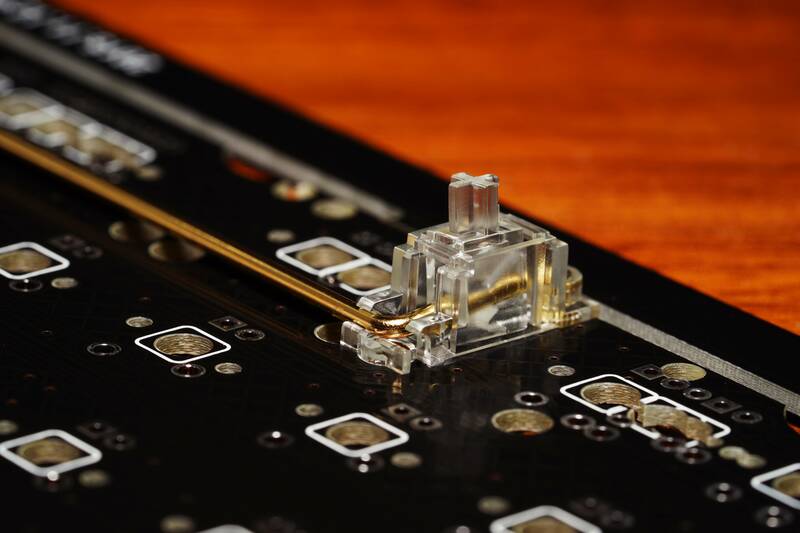 PCB orders that had an order of transparent stabilizers from R5 GB will be automatically upgraded to our V2 stab housings, which have fixed the wire popping out issue. You'll also receive a sets of v2 stab plastic parts to "upgrade" your previous order if you choose to have those swapped out. So if we ordered R1 Zeal stabs, we can get some extra plastic bits shipped in our GB orders? Where should I note that? Just send me a PM with your order # referencing the older V1, and I'll include the upgrade parts in your R6 GB. Will R6 be lubed in any way?